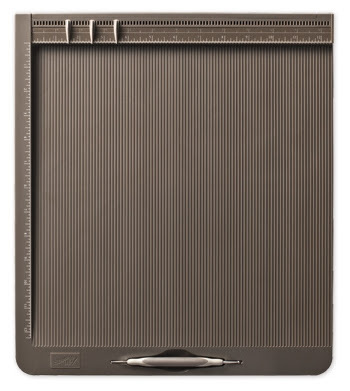 There's a brand new way to take the chore out of scoring! Stampin' Up! 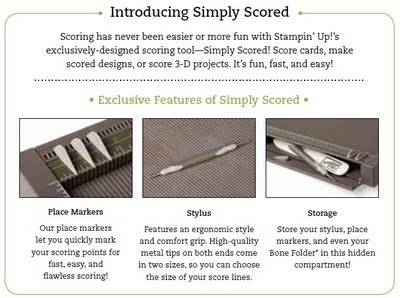 's new Simply Scored Scoring Tool’s base fits paper or card stock up to 12" x 12" and features score tracks every 1/8". It also includes three markers and stylus, which can also be purchased individually if you need more (or if the dog chews them up). The bottom of the tool's base has nonmarking and nonskid feet to secure it on your work area and measures approximately 15-1/8" x 13-1/4" x 1".